Joyful life in the slow lane – Learning to enjoy every day. 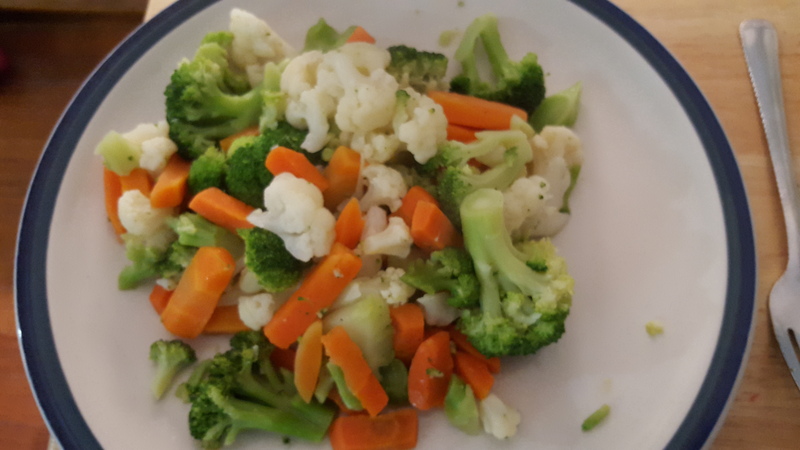 So today I made a super yummy dinner that was quick and easy. I’m thankful for easy because I am exhausted and just want to go to sleep. The next time I make it I’ll be sure to actually write down measurements because I tend to freehand everything and apply the little bit of this, little bit of that technique. It’s not good for sharing recipes (because I typically don’t use one, or if I do, I alter it), but I’ll get better. I promise. Warm the oil and butter. Add the shrimp and garlic and cook until done. Remove shrimp from pan and set aside. Add tomatoes and spinach to the pan, cook until tomatoes create a sauce. Add shrimp back to the pan and remove pan from heat. Serve immediately with pasta. Like I said, next time I’ll be sure to write down the particulars. My family always asks me if I wrote down what I did and I never do. I’ve got to start doing better. So let me start out by saying that I completely and totally apologize for being MIA for the last few months. Life has been filled with so many ups and downs that I’m just grateful that I’ve made it this far. Now I won’t say that all of it is over with, but I am starting to gain a better sense of clarity through all of this. This is the deal; I can’t allow all of the stresses from work or any other section of life make me so stressed out that I let it impact how I interact with my loved ones. Life is so precious and the time that I have with my loved ones is precious as well. I cannot and will not allow challenges to impact my family life. Work will be there and if something happens to me, I can and will be replaced. Heck, I could be replaced even if nothing happened to me. My family will always need me and it is vital that I give them the best version of me. Needless to say, all of this stress has not been good, mentally, physically, and especially from a weight loss and nutrition perspective. Stress eating has been in overload mode and I absolutely have to figure out the best way to reign this in. Cold turkey won’t work because I will lose it in a week and end up in the middle of a pile of junk food somewhere. So where does that leave me? Trying to find a perfect balance between healthy eating and occasional treats. Will it be easy, nope! Will it be worth it, absolutely! I have to give the very best version of me to my family, the people that I care about and those who care about me. My best version is strong, healthy, with clarity of mind, not stressed out and eating way too much. It’s done, I’m over it, I’m moving on. I have some things inside me that I really want to begin working on and all of the noise, all of the drama, and all of the nonsense that I continue to allow in is not leaving me room to do those things. No more! I am choosing to get my health right and work on my other things. 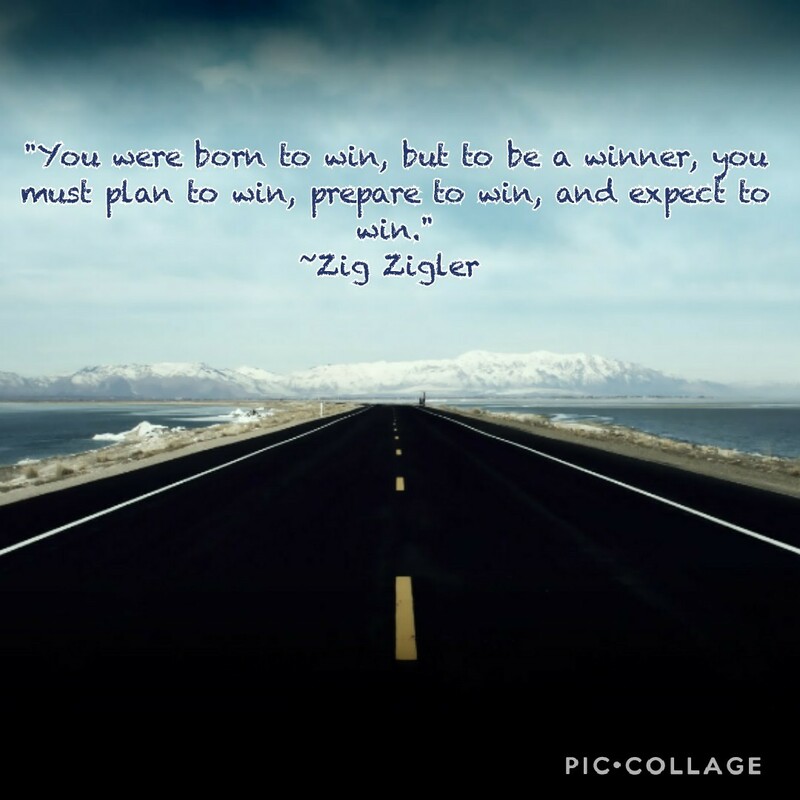 Prior to my 39th birthday I had a great deal of hope going into this last year of my 30’s, but as my birthday came and went, so did my zeal and my plan on how this year would be epic. I have just over 6 months until I turn 40 and I had a goal to make some things happen before then. I guess there’s no time better than right now to push for the life that I want. So my original plan was to finish P90X3 then move on to The Master’s Hammer and Chisel in January, however I decided to go ahead and change my plans and start Hammer and Chisel on this past Monday. If you haven’t heard about it yet, this is the new Beachbody program from Beachbody trainers Autumn Calabrese and Sagi Kalev. Simply put, I enjoy a challenge! I love workouts that tax my mind and my body and push me to be my very best. I get bored easily so the daily variety is helpful. This program also includes portion fix containers and a meal plan to assist in the ever important nutrition aspect of your wellness journey. I am a week into my program and I absolutely love it so far. Partially because of the short workouts but also because the nutrition is easier once you plan out your week and prepare ahead of time, limiting any surprises. Beginning January 4, I will be hosting a 60 day accountability and challenge group to start the New Year off right. The group will feature the Master’s Hammer and Chisel plus Shakeology, however you can use any Beachbody program. 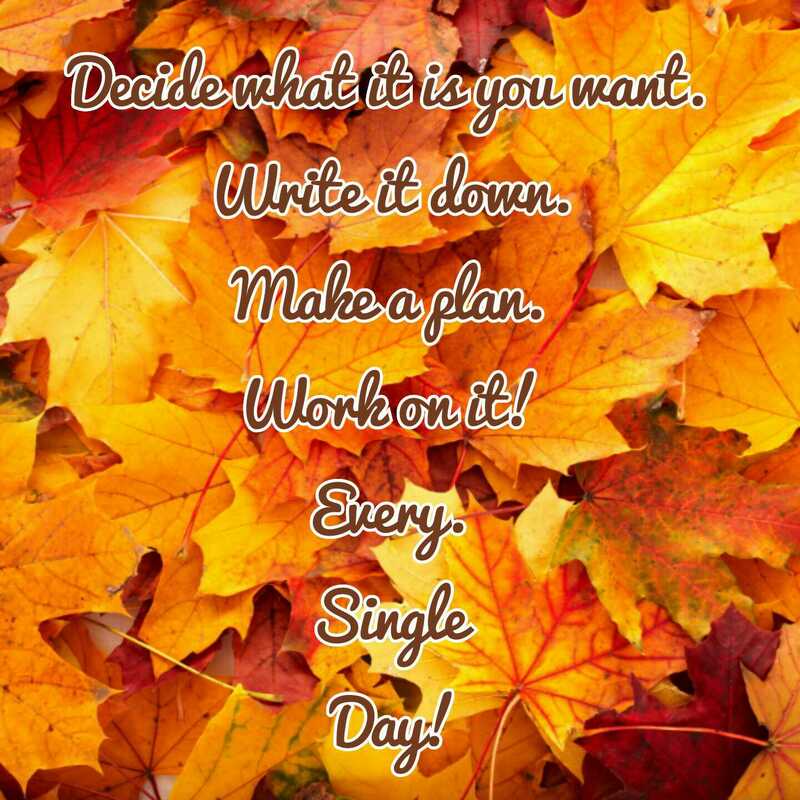 I just want you to use the program that best suits you and that you can commit to completing. This will not be a time to quit on ourselves, but rather a time to commit to our health and well-being. Taking the 30-40 minutes a day to workout is an easy way to begin to prioritize yourself and not allow the challenges of daily life to get in the way of you living your best life. Remember to order by December 14th to receive by Christmas (with standard shipping) and December 21st to receive by New Years (with standard shipping). I’m so glad that today was so much better than yesterday. 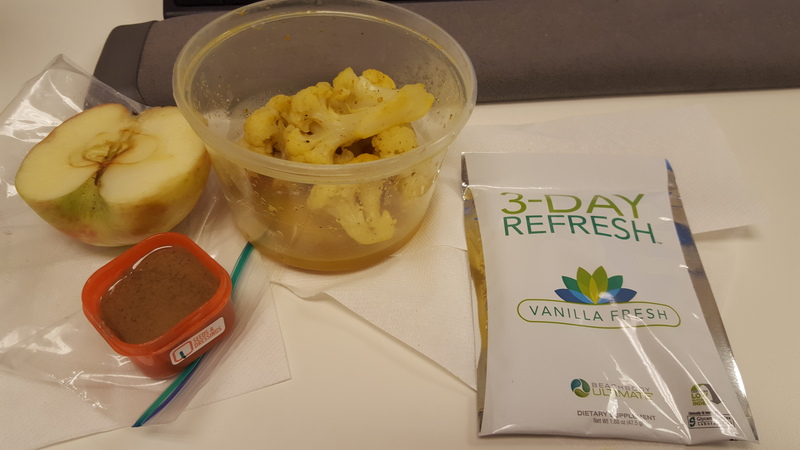 Mid Afternoon Snack: Wasn’t hungry! I also drank a lot of water and some tea. Today I feel great. No headache and my energy levels are coming back up. I also drank a lot of water and some tea, in fact I’m not done so I guess I’ll be up tonight going to the potty. Overall I’m feeling okay. I’m not feeling overly hungry which is great. I have a little bit of a headache, probably because of the lack of caffeine. I’m also a little tired and I’ll be doing a little bit of yoga as my exercise for the day. I’m not feeling as bloated as I did before. I’m really hoping that tomorrow is a bit easier and I can pick up where I left off on my exercise. My 3-Day Refresh starts tomorrow! So with yesterday being a pretty busy day starting with picking out fixtures for my bathroom remodel, picking up a few last minute baking supplies for my cupcakes, baking more cupcakes than I’ve ever made before, and attending my daughter’s volleyball banquet I forgot to mention that I got my 3-Day Refresh in the mail. I’m planning out my meals so that I can be successful on the 3 days and will be starting it tomorrow. I think that the hardest challenge will be the lack of coffee but I’ve been preparing for that by drinking half decaf in my morning cup so that I don’t experience an extreme decrease in my caffeine intake and get a headache. I will be having green tea, which does contain some caffeine, in it’s place. 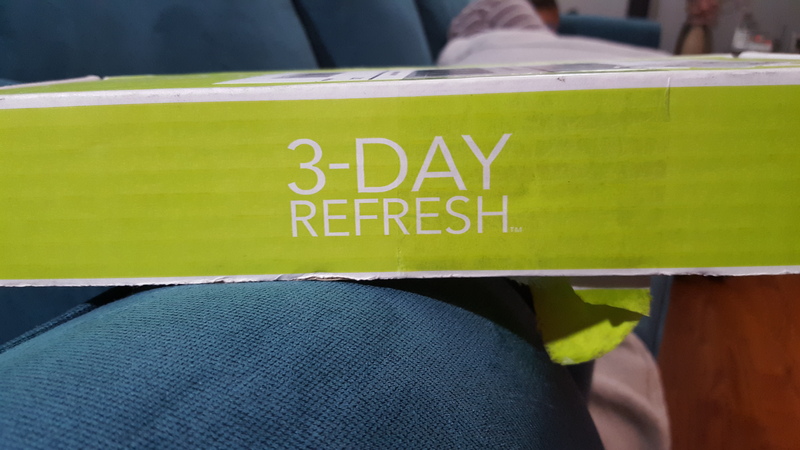 Before we get to far, you may be asking what a 3-Day Refresh is. 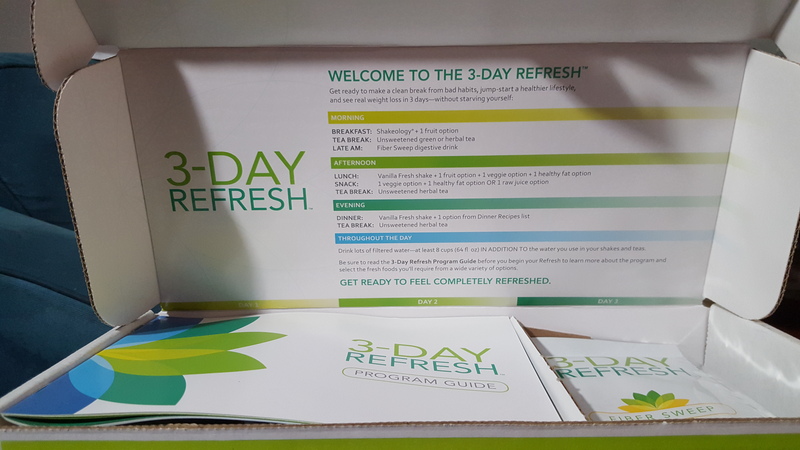 The 3-Day Refresh is a program designed to help you kick start your health and nutrition efforts and help you make a break from your negative habits. For me this is important because I’ve been a bit off for a while and I need that extra push to get me going. 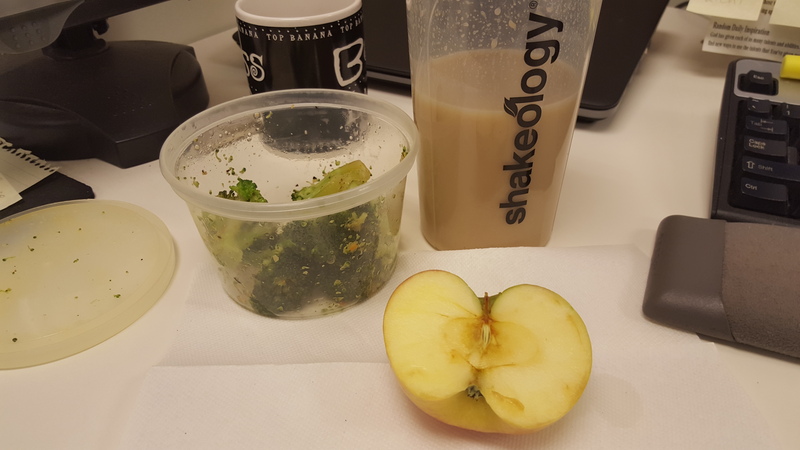 During the 3-Day Refresh I’ll be enjoying 3 daily shakes, a fiber drink, fruits, veggies, healthy fats and plenty of water. All of this is designed to keep you full and keep your energy levels up and metabolism cranking. 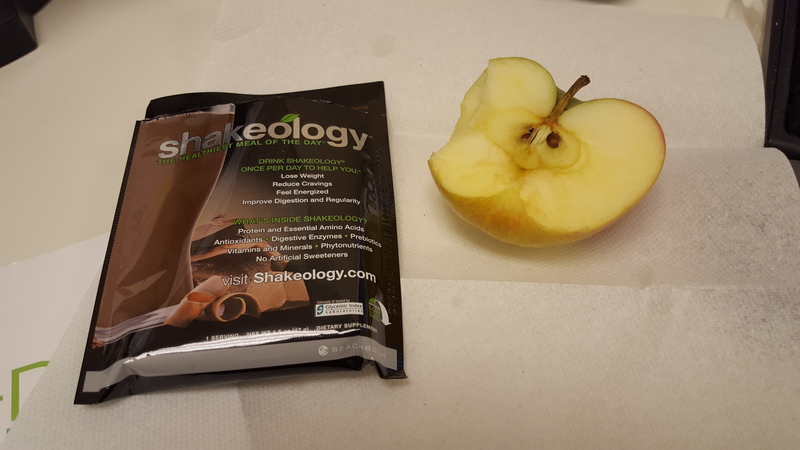 The kit contains Shakeology, Fiber Sweep, and Vanilla Fresh (a protein rich shake). It also comes with an easy to follow guide that gives you step by step instructions for completing the 3 days and if you have everything that you need, there is no way to mess this up. You are encouraged to drink half your body weight, in ounces, of water every day to help with the increased fiber intake. I will also be completing mild to moderate exercise during my refresh, nothing super strenuous. I’m pretty excited about giving this a try and will be documenting my daily results here. Stay tuned! Since becoming a Beachbody Coach a few months ago I’ve learned a few things. Just because I’m a coach doesn’t mean that I will automatically get “skinny”. We live in a society that really loves the idea of instant gratification. Meaning, we love the idea of losing 40 pounds overnight. I say that in jest, but the reality is that we really do look for so many ways to short cut the process. I’ll be the first to admit that I would love for the process to go so much faster than it has, but without my struggle, I know that I won’t appreciate my changing body the way that I should. Yes, I fluctuate quite a bit, but I’m working towards being better, doing better, and teaching better on a regular basis, and I’m ok with that. Just because I’m a coach doesn’t mean that I will never crave sweet and salty treats. I do crave sweets from time to time. This is usually a result of stress, hormones, or boredom. Being a coach doesn’t make me immune to these pressures, I just have to make a conscious choice to do what’s right for my body. It is ok to indulge from time to time, but that occasional indulgence cannot turn into a daily recurring activity. Just because I’m a coach doesn’t mean that every single day I’ll “feel” like working out. There, I said it. I DO NOT always want to work out and there are some days that I have to literally force myself and others where it simply may not happen. That said, I try to limit how many days I skip workouts because it doesn’t benefit me in any way to sit and do nothing. Change doesn’t happen by wishing for it. I have to get up and do it. Just because I’m a Beachbody coach, I do have access to some of the most amazing fitness programs, nutrition and support. Being a Beachbody coach has opened my eyes to the impact of home fitness programs. I used to not be able to motivate myself to push through a program and actually complete it. However, since becoming a coach I have completed 21 Day Fix twice and I’m chipping away at P90X3. 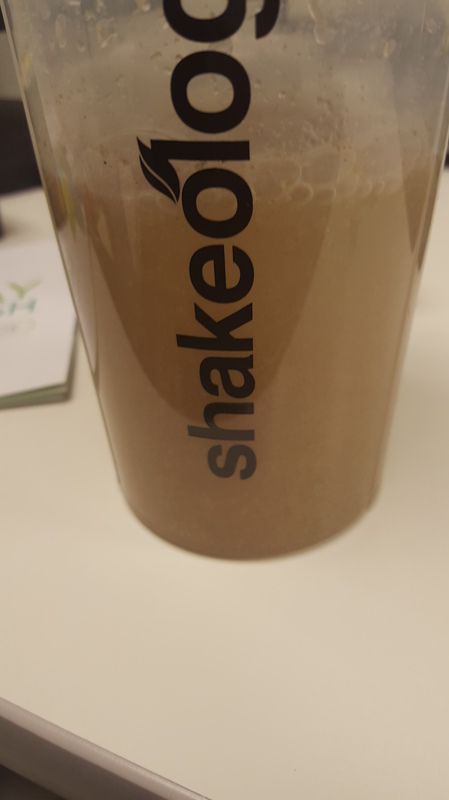 The daily dose of nutrition that I get from Shakeology can’t be beat! 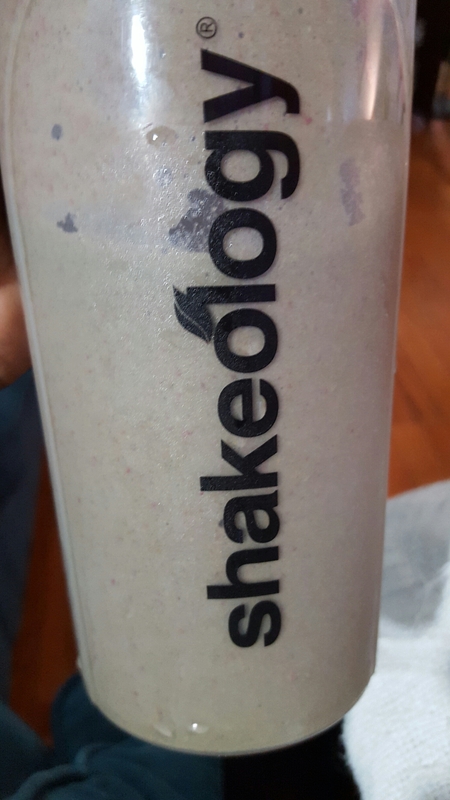 I’ve tried a lot other shakes before and nothing compares to what I get and how I feel from using Shakeology. As far as the support, I’ve typically not been one to share a lot on social media but because of coaching, I’ve been way more active and guess what, people are cheering me on the whole way. Accountability is huge with Beachbody and I have met some pretty cool people that I would have never come in contact with if I hadn’t made the decision to start coaching. I also have access to great mentors who are helping me develop my business. The access that I have to people who are making it work is incredible. I named this post “Every. Single. Day!” because we are a direct results of our actions every single day. Every day we decide how we are going to respond to external pressures that try to come at us. Every day we decide whether or not to prepare healthy foods ahead of time or risk falling into the trap of fast food. Every single day we decide whether or not we are going to get up off the couch and press play! 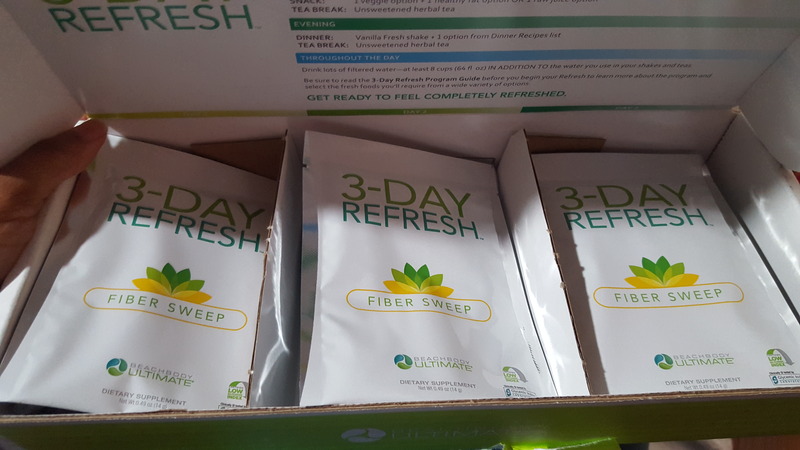 A few days ago I shared on Facebook that I would be starting a 3-Day Refresh as soon as I got it in the mail. 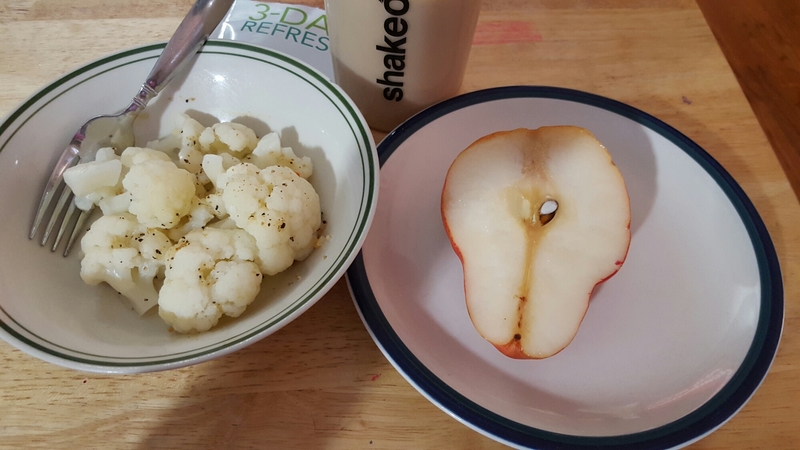 I’m not doing it to lose a few extra pounds in a few days, I’m doing it because my body needs to regroup and I need to recharge my metabolism. I’ve been stressed for a few weeks and because of that stress, I’ve indulged in more junk than I should have. Now that things are starting to normalize, it’s time to get my nutrition back in order and I’m using the Refresh to kick start that process. So, every single day through my Refresh, I’ll be sharing my progress and keeping you up to date. Also, today is day one of a DietBet with a few other coaches. The goal is to lose 4% of my body weight by the end of the month (including the feast of all feasts, Thanksgiving) so that I can possibly get some cash. While I won’t post my daily progress for the month, I will be checking in weekly so that you can see just how well I’m doing. I’ll share what I feel like works and what doesn’t. I recently started the 2nd Block of P90X3 and I’m really enjoying it. Its 30 minutes of whatever torture Tony Horton decides on but I’m having fun. So much fun that I noticed that my weights were getting a little light so I had to go out and get some more. That’s what I love about these programs, you have to write down where you are and how it feels and if you need more, it’s easy, increase your weights. A little bit at a time is good, not jumping from 8 pound weights to 20 pounders, but gradual increases make a huge difference in how well your body responds. I have a few other big things in the works for the month of November that I’m pretty pumped about, mostly because I know that I’m making the necessary changes to set myself up for success in the coming year. Continually striving for progress and not trying to be perfect. Every. Single. Day!